We are dedicated to improving your sleep and health. Snore Free and Sleeping Soundly. We can help! From the time we receive your referral from your doctor we will contact you within 24-hours to book your appointment, or you can simply book your appointment through our website. Our friendly staff will ensure that we are on time, every time. We will spend 30 minutes with you explaining and demonstrating how the diagnostic equipment works. From the time you return the device we will process your study within 48 – 72 hours. 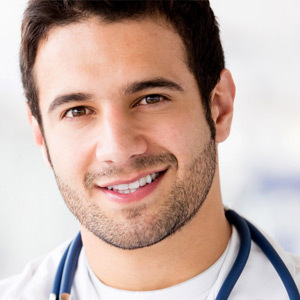 We will call you to arrange an appointment to review your study as well as treatment options if necessary. Once you have made a decision of which treatment option is best for you, we will schedule another appointment for mask fitting or impressions for a mandibular advancement reposition device / Dental appliance. You have our promise that you will never be pressured to purchase anything and our guarantee that we will deliver the best nights sleep you have ever experienced.
" Snoring has become one of those life long jokes amongst people until you are the one suffering from a snorer beside you. If you have to ever leave your bedroom to get some sleep away from a snorer than this machine will save your snorer’s life and your marriage. " " I am grateful for my CPAP machine. I did not know that an end to exhaustion was possible. I found the staff at Sleep Works to be very supportive and timely in their communications with me. I highly recommend Sleep Works. " " I was referred to SleepWorks by my Doctor. I found the staff very professional, courteous and knowledgeable. The entire experience was pleasant and I would highly recommend them. "